Though classically trained and palpably sensitive, Tom Hardy has a made a name for himself with his formidable physicality, playing hulking brutes in films as diverse as Bronson, Warrior, and The Dark Knight Rises (not even a voice-muffling mask and poor sound mix could botch his impact in the latter). Yet, in Locke, his new one-man motorist drama, Hardy needn't move from a single spot to deliver his densest, most nuanced work to date. As Ivan Locke, a construction-site foreman on the brink of personal and professional upheaval (he’s also the movie’s sole on-screen character), Hardy deftly soldiers through a great spectrum of emotions, all while driving a car on a highway for the entirety of the film. 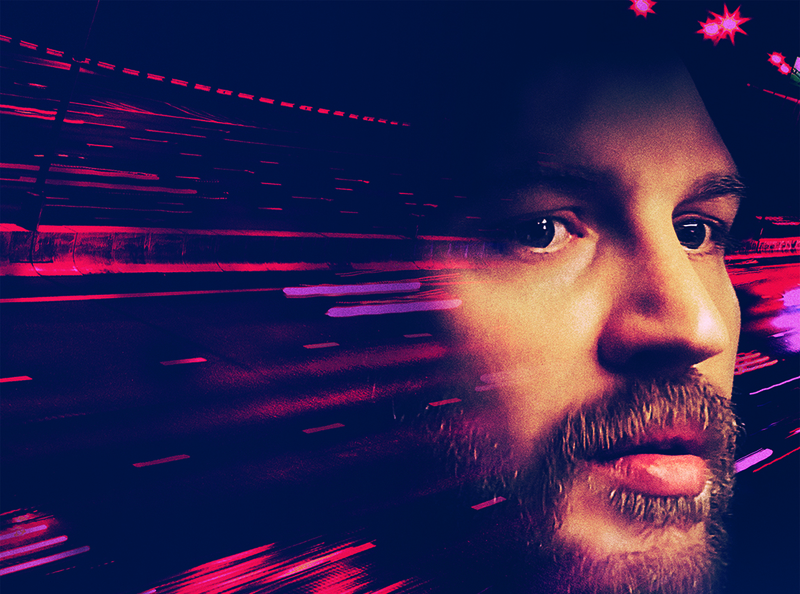 Locke's gimmick is transcended by Hardy's gruff instincts, the sustained tension filmmaker Steven Knight commendably draws from human mundanity, and the essential details of Ivan's feature-length journey. Meeting us for a chat at the Waldorf Astoria in New York City, Hardy shared hints, tidbits, and trivia about the making of his movie, highlighting what viewers should notice while being locked in a car with him—apart from the obvious, of course. In addition to a wedding band and a watch, Ivan wears two bracelets linked to UK charities that Hardy himself champions: Help for Heroes and The Prince's Trust. Juggling a work emergency and a family crisis while speeding toward a moral obligation, Ivan is constantly fielding calls from unseen characters via his in-dash phone and GPS unit (the supporting, voice-only players include Olivia Colman, Ruth Wilson, and Andrew Scott). But there's more to the story. If Ivan looks especially weary, and has a little Bane in his voice, that's partly because Hardy was sick throughout the shoot, nursing a cold while navigating Locke's drama. Some will find Locke's metaphors a bit too on the nose, with Ivan's literal journey representing his figurative transformation, and even his job—which is currently hinging on a crucial arrival of concrete—conveniently relating to his own foundational shifts. But most of these elements are inherent to the intimate setting, including the rearview mirror in which Ivan, a thickly-accented Welshman, talks to his late father, whose estranged nature and neglect the antihero refuses to repeat. “For me, what was interesting about Locke, and what juxtaposed him against anything I'd played before, was this essence of containment,” Hardy says. “You don't have any physical exposition, and there's nothing bombastic or violent. But having said that, there's a huge amount of vengeance and aggression in Ivan, which is deeply rooted and connected to his father. There's compulsion for him to drive, and he's driving with a lot of anger. But it's all presented with containment, and a slow diffusion, and an understanding and deconstruction of his own psychology. In terms of characterization, Ivan is drawn with wonderfully problematic flaws, each pro of his personality matched with an indisputable con. Every good intention has an unsavory side effect, and every admirable choice has some kind of collateral damage. Naturally, Hardy relished this part of the project, which is represented by the fateful, nighttime drive his character is taking.